Zero insignificant digits (number), let's know who discovered it? It is the power of science which can able to discover new technology. But science is nothing without mathematics. although we need mathematics for our daily life and every time in our life. The Parabrahma(supreme god) is complete. And the universe is also complete. by using this sloka of upanishad. 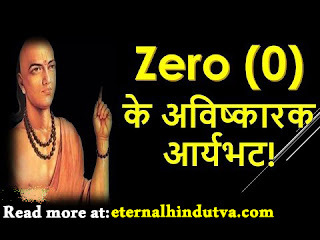 This way Vedas and eternal religion had already know about zero. zero and infinite are related to mathematics.